An armed robbery led police on a high speed chase and a crash in North Lauderdale on Tuesday leaving at least five people injured and three people are now under arrest. According to a report that appeared on the NBCMiami.com website, it all began with an armed robbery that took place at the Cash America Pawn Store in Lauderdale Lakes at approximately 1:00 p.m. The thieves were using a stolen car in the robbery that was later spotted by police who gave chase. A crash at the intersection of Rock Island Road and West McNab Road in North Lauderdale ended the chase. Five people were injured in the incident and were taken to area hospitals. One person bailed out of the vehicle during the chase and fled on foot to a nearby townhome and refused to come out. Eyewitnesses familiar with the residents of the townhome say that there were two children inside at the time of the standoff with police and a SWAT team. The standoff lasted for a few hours before the third suspect in the armed robbery was taken into custody. When criminals flee police in an attempt to avoid prosecution, the potential for getting in an accident can increase significantly. Accidents that happen as a result of police chases and other emergency vehicles responding to a crisis are far more common you might believe. If you or a loved one has been seriously injured by an accident as a direct result of a police chase or for any other reason, give us a call. One of our attorneys will go over the details of your case with you. We are committed to the success of our clients and want to see that justice is done and that you receive the most in terms of compensation for your injuries. Such compensation can help cover hospital bills and medical costs as well as long term treatment, loss of income from time off the job and other related expenses If you live in the Miami-Dade area, you need an attorney who will fight on your side. Call us to schedule a free consultation and legal analysis with no obligation. We handle all cases on contingency. You will not have to pay us anything unless you obtain compensation. We keep you informed of every step of the way, communication is what separates our firm from other firms. Don't have transportation? No problem, our attorneys will come to you at your home, work, or hospital at anytime that is convenient for you. Call 305-928-2909 for your free consultation. Disclaimer: The information provided on miamicaraccidentlawyers.net is not legal advice, miamicaraccidentlawyers.net is not a lawyer referral service, and no attorney-client or confidential relationship is or should be formed by use of the site. miamicaraccidentlawyers.net is not a law firm. miamicaraccidentlawyers.net does not endorse or recommend any lawyer or law firm who participates in the network. 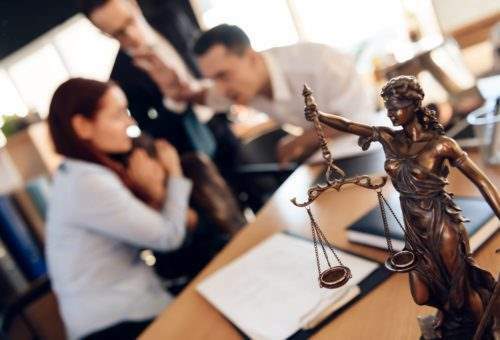 The attorney profiles listed on miamicaraccidentlawyers.net are attorney advertisements and the participating attorneys are required to pay an advertising fee and do not in any way constitute a referral or endorsement by miamicaraccidentlawyers.net or any approved or authorized lawyer referral service. It does not make any representation and has not made any judgment as to the qualifications, expertise or credentials of any participating lawyer. The information contained herein is not legal advice. No representation is made that the quality of the legal services to be performed is greater than the quality of legal services performed by other lawyers. Any information you submit to miamicaraccidentlawyers.net may not be protected by attorney-client privilege. All photos are of models and do not depict clients. All case evaluations are performed by participating attorneys.Your access of/to and use of this website is subject to additional Terms and Conditions. If you live in Alabama, Florida, Mississippi, Missouri, New York or Wyoming, please click here for additional information. © 2014 All Rights Reserved.